This plain white belt has a black rectangle buckle. This is actually a reversible belt and the other side is a plain black surface. So there: you have two completely opposite colored belts for the price of one. 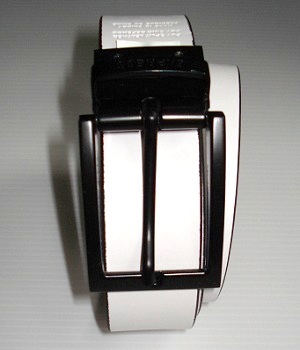 This plain white leather belt has a black rectangle buckle. 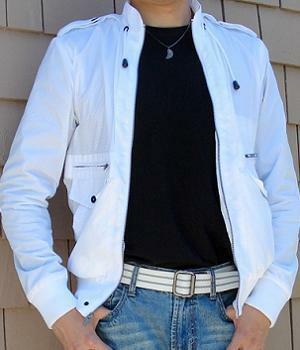 The white leather belt looks great with my white striped pants and white casual shirt. So I decided to get it. I wear this solid white leather belt whenever I can. The smooth surface of the belt makes it look shiny and classy. This solid white leather belt is best paired with white or light colored pants for some reason. 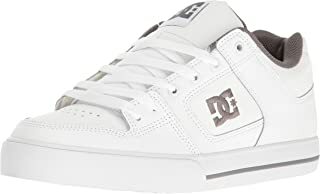 A great outfit with this white leather belt is a white shirt, a light blue blazer, this white belt, white or light gray or light khaki pants, white leather shoes. Light blue jeans look good with this white belt too. 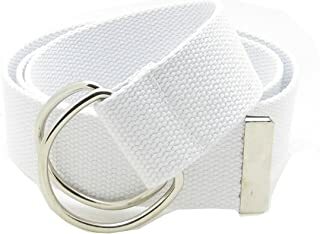 BUY this white belt NOW b4 they run out!